For security purposes, registration is closed. 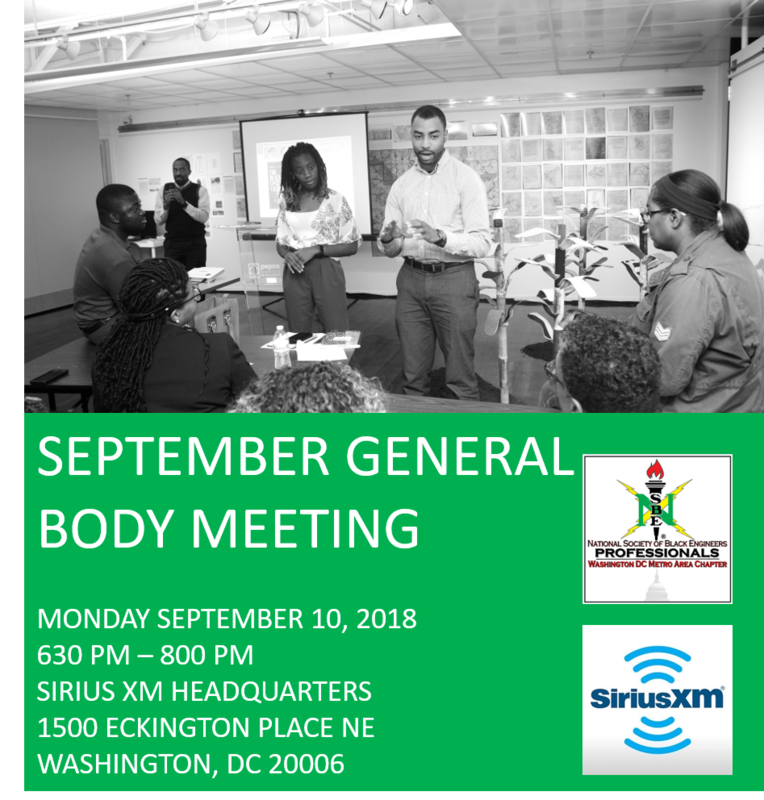 Join NSBE DC for the first GBM of the year at Sirius XM. Come meet the 2018-19 Executive Board and learn about the state of the chapter, chapter benefits, and upcoming programs and events! There will also be a committee speed networking so you can learn about the different committees and find where you can get involved! The NSBE DC GBM is free for everyone to attend! Dinner will be provided. Please register by Monday, September 10th at 12 pm to ensure entrance into the building and that you can park your car at the facility. There is also street parking on Eckington Place. NoMa is the nearest Metro Station.